100% pure Australian beeswax cadles. Free from soy, palm oil, paraffins and toxins. Cotton wick. Burn time: 20 hours per candle. Made in Australia. 2 pack. 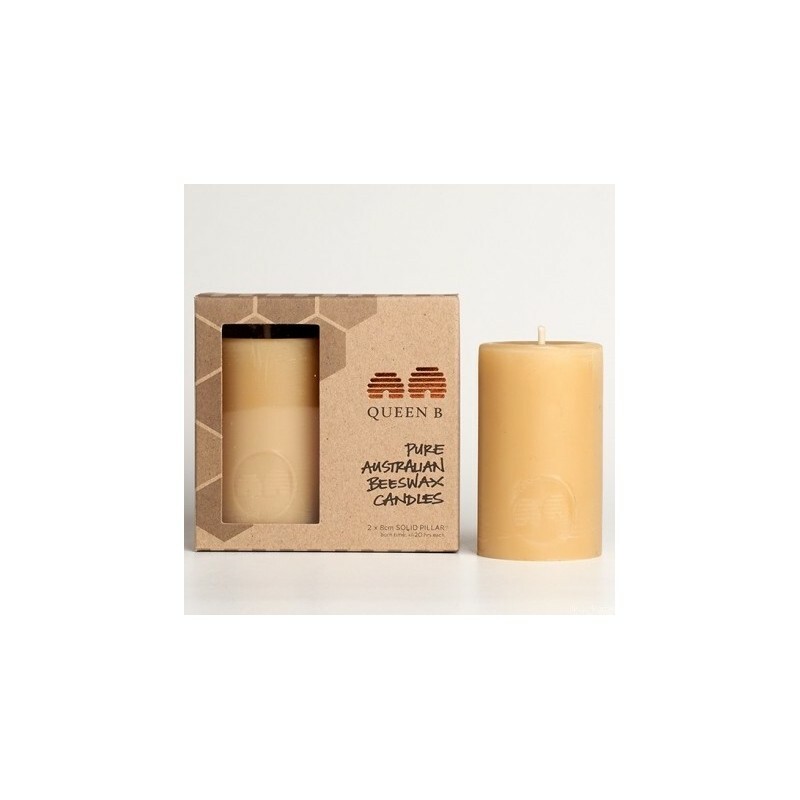 Every Queen B candle is created by hand, rolled with just the right pressure and at just the right temperature to ensure a candle that will burn perfectly. dimensions: 2 x 8cm (H) x 4cm (W) – burn time 20 hours. Packaged in cardboard box with plastic window that can be resused or recycled. Having recently learnt about the differences in candles, I am pleased Biome stock this range. I haven't burned these 8cm candles yet, but I have purchased and tried the tea lights and jam jar candles from the same range and know that the subtle scent isn't overpowering or toxic. 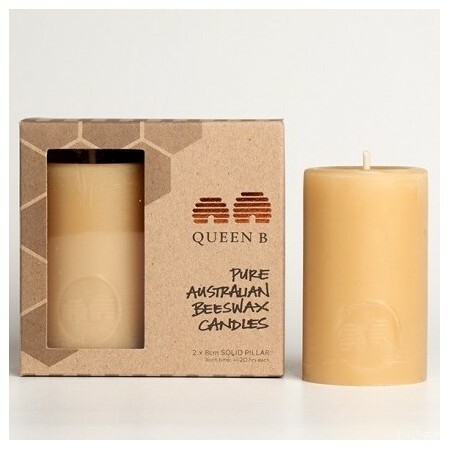 These candles are a great eco-friendly choice and I am happy to support this Aussie company. I absolutely love these candles. They smell beautiful and I know I'm not burning off toxic fumes. Never going back to other candles. After using beeswax candles I'll never go back to using anything else... these have a long burn time and a sweet smell that isn't overpowering like some candles.